Whether your vehicle only needs need minor service, or you are concerned about a serious problem, bring your Mitsubishi to Fremont Auto Center. Our nationally ASE certified mechanics have the technical skill and the latest equipment to diagnose and repair whatever the problem might be – and we work on all Mitsubishi models - whether you drive a sedan, Mitsubishi Outlander PHEV, or a crossover. In most cases, we can diagnose and repair your car on the same day. Naturally, in addition to Mitsubishi repair, we also offer a full range of maintenance services. From oil changes to 30,000-mile, 60,000-mile, and 90,000-mile service, we can provide routine checkups and maintenance to keep your vehicle in top shape. Regular service of your Mitsubishi with Fremont Auto Center will satisfy manufacturer requirements to keep the factory warranty in force. When you bring your vehicle to our Fremont Mitsubishis repair shop, it will also undergo a complimentary inspection – we look at tires, adjust tire pressure, battery, hoses, belts – it gives us a chance to assess the overall state of your car. And if we do find issues, we will let you know and will help you to plan the course of repairs. 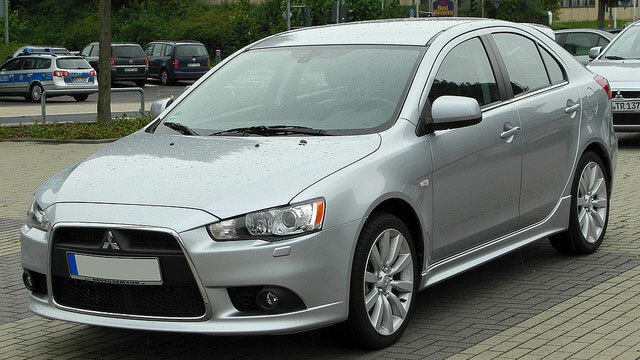 Quality of Mitsubishi vehicles has greatly improved over the years, Even though there were some “off” years and models – 2004 Mitsubishi Endeavor had AC and heater problems, and 2015 Mitsubishi Outlander Sport had electrical issues, overall Mitsubishi is a solid choice and if properly maintained, will give you years of reliable service. We are a full-service Fremont auto repair shop. In addition to manufacturer scheduled services, we can provide a wide variety of other services and repairs, including AC recharge, AC repair, brake repair, fuel pump replacement, brake pad replacement, serpentine belt replacement, check engine light diagnostics and repairs, electrical system diagnostics and repairs, water pump replacement, timing belt replacement, clutch repair, radiator repair, transmission service and repairs, clutch replacement, shocks and struts, engine repair – and these are just a sample of the repairs and services our Fremont auto repair shop can provide. Whenever you bring your Mitsubishi to Fremont Auto Center, you can be secure in the knowledge that your vehicle is in good hands, and that we will do our utmost to get your vehicle back to you the same day – your freedom of movement is important to us. So set up an appointment online or simply call us.